Where will this&nbsp;Contract Hire Agreement&nbsp;be used? Where will this Contract Hire Agreement be used? Different countries have different rules and regulations. Your Contract Hire Agreement will be customised for England. Who should use a Contract Hire Agreement?A Contract Hire Agreement protects the parties to a vehicle lease. This Agreement is ideal for automobile lease/rentals not involving anyone in the business of selling or leasing vehicles (e.g. car dealerships). Those in the business of selling or leasing vehicles must typically comply with additional regulations (such as obtaining a consumer credit licence, or meeting certain warranty requirements). Please contact the Financial Conduct Authority if you require further information. The Owner desires to lease the vehicle described as a new 2019 __________ __________ __________, with vehicle identification number __________ (the "Vehicle") to the Hirer, and the Hirer desires to lease the Vehicle from the Owner for personal, family or household use. The Owner owns the Vehicle that is the subject of this Lease. The full retail value of the Vehicle as of this date is £1. The amount to be amortised over the term of the Lease is £1.00. The residual value (the "Residual Value") of the Vehicle is £__________. The Lease interest rate is 4.5% per annum. A refundable security deposit of £__________ is due upon signing this Lease. The term of the Lease is one month (the "Term"). This Lease includes unlimited miles. The Hirer will not be required to pay any fees for miles used. The Hirer will provide a down payment of £__________, which will be subtracted from the amount to be amortised over the Term. The total amount payable by the Hirer upon signing this Lease is £1.00. The monthly payment under this Lease is £1.00, plus a VAT of £0.00 spread over the Term of the Lease, for a total monthly payment of £1.00 (the "Monthly Payment"). The first payment will be due upon signing and the following payments will continue each month on the same day of the month as the Lease is signed. If a Monthly Payment is due on the 29th, 30th, or 31st, then it is due on the last day of the month in a month that does not have a 29th, 30th, or 31st. The VAT amount provided in this clause is only an estimate and will be adjusted upon notice of the Owner. The Owner reserves the right to change the Monthly Payment to adjust for increases or decreases in taxes. Monthly Payments may be made by bank transfer, cheque, post-dated cheques, money order, bank draft or pre-authorised payment. At the conclusion of the Lease, if all payments are made, the total cost of the Lease will be £1.00, excluding any cost for repairing excess wear and tear to the Vehicle. Except as expressly provided in this Lease, no warranties, either express or implied, statutory or otherwise, as to any matter whatsoever, have been given by the Owner. collision insurance with a maximum excess of £250. The Hirer will ensure that the Owner is named as registered owner, and as "Additional Insured" and loss payee in the insurance policy (the "Insurance Policy"). The Hirer agrees to co-operate with the Owner and the insurance company in pursuing or defending any claim or action resulting from the use of the Vehicle. Any award or money the Hirer receives as a result of a claim or action is to be assigned to the Owner. If the Hirer fails to maintain insurance or if a claim is denied by the Hirer's insurance company for any reason, the Hirer remains responsible to pay the total cost of the Lease. pay all amounts owed under this Lease without deducting any amounts the Hirer claims to be owed by the Owner. the Hirer will not install accessories in the Vehicle, or alter the Vehicle in any way, without the Owner's prior written consent. During the Term of the Lease, the Hirer will be responsible for paying all fees required for registration, licensing, testing, and any inspection of the Vehicle requested by a government or other authority. The initial cost of registration must be paid prior to removing the Vehicle from the Owner's possession. 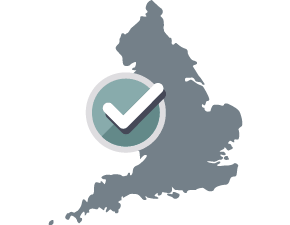 The Hirer acknowledges that the Vehicle has been inspected and the Hirer accepts the Vehicle as being in a good state of repair, not including manufacturer's defects which would not have been visible upon inspection. The Owner has the right to inspect the Vehicle, without prior notice, at all reasonable times during the Term of this Lease. the Hirer breaches any other term of this Lease. In the event that the Hirer defaults under this Lease, the Hirer will be required to pay the amounts applicable to the Vehicle during the remainder of the Term. If the Hirer defaults under this Lease, the Owner will pursue the remedies outlined in this Lease, in addition to any other remedies allowed by law. If the Hirer defaults, the Owner may terminate this Lease, and may recover the Vehicle and sue the Hirer for damages. The Hirer is responsible for ensuring that the Vehicle is regularly maintained and is kept in good repair. Regular maintenance and repair includes, but is not limited to, the excessive wear and tear provisions below. The Hirer is to pay the costs of regular maintenance and any costs for repairs not covered by warranty. mechanical damage that affects the safe, proper, or lawful operation of the Vehicle, which would include damage that causes the Vehicle to fail a safety inspection in the country where this Lease is signed. If the Vehicle has excess wear and tear, there will be a charge to the Hirer for the excess wear and tear. During the Term, damaged or lost parts, equipment, or accessories may be replaced with items of equal or better quality and construction, and replacement items that meet this standard will be accepted as original items, upon return of the Vehicle. the cost of repairs needed as a result of excess wear and tear. any outstanding amounts under this Lease. any money received from an insurance claim or action that is not used to repair or replace the Vehicle. the fair market value of the Vehicle at the end of the Term. The Hirer will not be held liable for the difference between the Residual Value of the vehicle and its Realised Value. This Lease may not be assigned to a third party without the Owner's prior written consent and approval. This Lease will pass to the benefit of and be binding upon the Hirer's respective heirs, executors, administrators, successors and assigns. This Lease may only be amended or modified by a written instrument executed by both parties to this Lease. All costs, expenses and expenditures including, and without limitation, the complete legal costs incurred by enforcing this Lease as a result of any default by the Hirer, will be added to the amount then outstanding and will immediately be paid by the Hirer. The clauses and paragraphs contained in this Lease are intended to be read and construed independently of each other. If any part of this Lease is held to be invalid, this invalidity will not affect the operation of any other part of this Lease. If there is a conflict between any provision of this Lease and any form of lease prescribed by applicable legislation of England (the "Act"), that prescribed form from the Act will prevail and such provisions of the Lease will be amended or deleted as necessary in order to comply with that prescribed form. Further, any provisions that are required by the Act are incorporated into this Lease. Headings are inserted for the convenience of the parties to this Lease only and are not to be considered when interpreting this Lease. Words in the singular mean and include the plural and vice versa. Words in the masculine mean and include the feminine and vice versa. This Lease constitutes the entire agreement between the parties to this Lease and there are no further items or provisions, either oral or otherwise. The Hirer is entitled to a complete copy of this Lease. This Lease should not be signed until all terms have been set out and the Hirer has read it entirely. This Lease will be governed by the laws of England. IN WITNESS WHEREOF the Parties have executed this Lease on this _______ day of _______________________. (4) Warning -- unless a charge is included in this Lease for public liability or property damage insurance, payment for that coverage is not provided by this Lease.